I recently had a chance to preview Cesar Millan’s Mastering Leadership Series. The three disk series is about 199 minutes (over three hours). To be clear, I feel that Cesar Millan’s most important role is to awaken the masses to the importance of dog training and imprint that into the minds of the general public. I believe there are more progressive ways to train animals which is also the opinion of many canine behaviorists and dog training professionals. However, Cesar Millan has captured the hearts of the general public in a big way and his empire is expanding at a rapid rate which includes an amazing production of new products and services associated with his brand. Now coming from a wild animal background I’ve always looked at the natural history of the animal, how they react as a species, assess the trends in the subspecies (or breed), and then look at the particular animal’s predispositions and disposition. In the 1990s I began typing animal personality styles for ease of training and subsequently included them in What Animals Can Teach Us About Spirituality: Inspiring Lessons from Wild and Tame Creatures–so I though Cesar Millan might be on the right track and was excited about it. However, the content in disk one was sorely lacking and I was left gravely disappointed…I was hoping for progression and real explanations about the topics. The compact disk only glosses over what seems to be promised by the chapter titles. My opinion is that if the disk went more in depth into the topic it might have been useful. I also found it boring to see so much of Cesar Millan without more cuts to footage or visual aids. For instance, Cesar Millan’s barking example (Yes, he was barking like a dog!) would have been a perfect time to cut to live examples. There were a few clips in the disk and they were highly beneficial but there were just not enough. Even members of the audience asked for clarification. Another aspect of the production that was a bit frustrating was that Millan never defines what he means by “psychology” and overuses the term so much it becomes an irritant. In some cases, when he refers to “energy,” I believe he means social style (aka personality typing)—or the natural inclination of how an animal or human relates to the environment and others. “Energy” is another term Millan overuses and that is a part of his message and system. When stressing the importance of reducing energy or dissipating it, Emily the pit bull is highlighted. Now illustrating how more activity/exercise in a dog’s life is important–but the use of roller blades is not an option most people will take–so it would have been nice to see some alternatives suggested for the average pet owner. When asked when people should get help, Cesar Millan says “whenever you don’t feel sure” which is a great suggestion. If more people took action early most of the issues seen in dogs would not become highly escalated. Millan also makes a great point that a big yard does not replace activity or exercise—and is simply a big kennel. This is something most people don’t understand and a great way to create a picture that will stick in the minds of the masses. Millan points out that people are selfish and usually work to fulfill themselves first and the dog second. When they focus on meeting their own needs for love and affection it isn’t always to the benefit of the dogs. Comforting (or what I refer to as accidental reinforcement) can result in a lot of bad behavior. So when Cesar Millan talks about how weakness is not nurtured in nature, he made a very important point that most pet owners miss. Another mistake hammered home is that people wait too long before addressing problems–which is why he calls his work rehabilitation. Now this is something all professionals know, but this work is geared toward new pet owners (I believe). Around these parts people still wait until the dog hits adolescence to address problems that could have easily been solved in puppy hood. Maybe people who purchase this set will heed this message–or maybe not. The final message on this disk? The same old stuff from Millan—use calm assertive energy, set rules, boundaries, and limitations and get your dog out for a 45 minute walk daily. Okay, we got that a long time ago. Cesar Millan ends with a fulfillment formula for dogs: Exercise, psychological stimulation, discipline, and affection. He also mentions examples about the dogs who get what they need to illustrate some of his points–such as pets of the homeless and service dogs. Overall there is some good content on this disk but it is the weakest of the three and I think reworking the production would have made it a lot better. Still, if you are a new pet owner and willing to watch it a few times you might pick up a few good tidbits. Disk one of Cesar Millan’s Mastering Leadership Series was weak but if you are an avid Dog Whisperer fan you’ll probably love it. Cesar Millan is charismatic and engaging when involved in live action which is why he is so popular and why this disk is such a relief after watching the first disk in Cesar Millan’s Mastering Leadership Series. During the case study with Harley you can see how Millan uses body language and spacial distance to get Harley to acquiesce to his guidance. Some common owner mistakes are also illustrated–such as pulling on the leash which creates tension and causes problems because of it. Dog rules are highlighted with footage of wild dogs and wolf pack film clips–both additions are engaging. Sadie is a rambunctious escape artist. Although Cesar Millan says that pack leaders don’t get jumped on as the explanation for Sadie’s refusal to jump onto him, I think the situation is more due to her distraction because she is busy smelling the scent of other dogs on his pants. One of the amusing portions of the disk is when Cesar Millan is too busy talking the dog escapes out the front door. I thought it was good to show how even those who work in the profession can make mistakes. However the many ensuing chases could have be left on the cutting room floor…one or two would have been enough. Dixie is a high energy dog who is hard to handle on walks and who is also dog reactive on a leash. The footage shows how the owner makes a common mistake by picking up the dog and petting it—actually reinforcing the behavior. Each case is interesting and the how the footage was pieced together might really hold your interest. Cesar Millan outlines dog activity levels and talks about fight, flight, avoidance, and submission while stressing the importance of involving your body, mind, and heart. Hmm, body, mind and heart–that should have been explained more in depth. Ultimately Millan’s points are that you have to have the right energy, must visualize the outcome you want, and remember that you are a “pack leader” in training. The problem is that many people are not pack leaders which is where a lot of the problems stem from and most professional would agree that it is pet owner training and not dog training that most pet households need. Overall there is engaging content on this disk but will it instruct you on how to handle your dog? Although there was some footage of the clients working their dogs toward the end of their sessions, the disk would have been more valuable to the learning curve if more footage of their progress was included. Bullet points on the steps to accomplish the goals would have also been useful. The key points shared by Cesar Millan in this disk? Be a pack leader every day, set rules, boundaries, and limitations before sharing affection. Use proper body language, project calm assertive energy, and walk the dog everyday for at least 45 minutes. Repeat this over and over again…because they do. Again, the bonus material was not very useful and fortunately were very short on this disk so I didn’t waste too much more of my time. Each section takes you through the process with an actual client during the assessment and selection process of a new dog. This is the gem of the whole Cesar Millan Mastering Leadership Series. On this disk there are three different case studies which gives you a glimpse into the problems faced by a single woman, a couple, and a family situation. 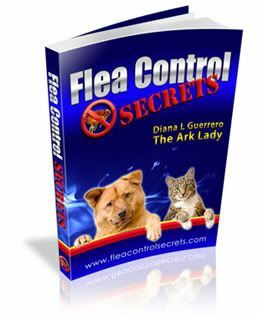 The first chapter features a single person living in a condo environment and who is limited to a specific dog size and behavior requirements. Cesar Millan takes the owner into a shelter environment and helps her assess the dog there and then in an outdoor enclosure with two other dogs who made her shortlist. They then determine which dog would be the best fit. Next, they takes steps to ease the transition into the household which includes walking the dog, crate acclimation, and then early rules established in the household. In the second chapter, Cesar Millan escorts a couple to a breed rescue facility to select a purebred dog to integrate into their household which already contains two dogs and a cat. Finally, he helps a family to select a puppy that will integrate most successfully into their household. These bonuses were a bit more interesting than on the previous disks. The puppy tips were a bit vague but you see how Millan instructs the family in Puppy Tips. It would have been nice if there was an explanation about the two exercises and what they accomplish. The Teaching with Treats is misleading. Cesar Millan simply uses the treats to lure the dog into his personal space and then teaches the dog to wait until he gives the dog permission to take the treat. Overall the series might attract a new pet owner who doesn’t know that there are better ways to work with dogs. It might be useful for someone who needs to gain tips about bringing a new dog into the home from a shelter, rescue, or breeder. As for the ideas he puts forth…I really would like him to get some academic background on behavior and use his influence to teach really great information instead of this archaic stuff that perpetuates the old school approach to dog training. Of note, this is not a teaching series about dog training techniques but rather an overview of Cesar Millan’s ideas when it comes to incorporating dogs successfully into human households. So, I think the highest value in Cesar Millan’s Mastering Leadership Series is the instruction on the selection of a pet on the third disk. If you are a Cesar Millan Dog Whisperer fan you’ll enjoy watching the case studies on disk two and will probably want to add Cesar Millan’s Mastering Leadership Series to your collection. If you are a professional using more innovative techniques, skip this one. It is the same stuff you see on the Dog Whisperer series on National Geographic and will get your hackles up. But I have to say that the third disk contains some great information on bringing a new dog into the household–which might be worth viewing if you don’t have something already in your library. Post Script: I’d like to mentioned that each disk is closed captioned and you cannot turn it off. This is not only distracting but often prevents the viewing of any bullet points when they appear on the screen. I also found the misspellings or wrong words used in the translation distracting.